From 30 October to 2 November 2017, the SHC 2017 and the SWC 2017 in Abu Dhabi brought together 500 researchers, industry specialists and other experts on solar heating and cooling. 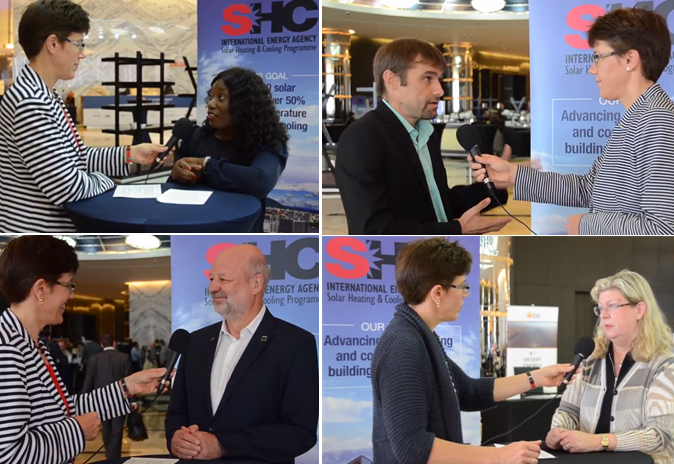 The 12 video interviews that solarthermalworld.org recorded at the joint conference outlined trends in today's global solar heating and cooling sector and highlighted policy fields where urgent action is required. The videos were financed by the IEA Solar Heating and Cooling Programme and the European Copper Association. See the complete playlist.